The Bashkir language is a Turkic language belonging to the Kipchak branch. It is co-official with Russian in the Republic of Bashkortostan, European Russia and has approximately 1.2 million speakers in Russia. Bashkir has three dialects: Southern, Eastern and Northwestern. Abdrazakov was born in Ufa, the capital of the Republic of Bashkortostan within Russia. His elder brother, Askar, is also a professional operatic bass; they have performed together, most notably at the Washington National Opera. His parents were both artists: his mother a painter, and his father (deceased) a director. Joined the Bashkirian Opera and Ballet Theatre after graduating from the Ufa State Institute of Arts. He won a number of vocal competitions in the late 1990s including the Moscow Grand Prix, the Glinka International Vocal Competition, the Rimsky-Korsakov International Competition, and the International Obrazova competition. Abdrazakov's 2000 win at the Maria Callas International Television Competition in Parma led to his recital debut at La Scala in 2001. Ufa is the capital city of the Republic of Bashkortostan, Russia, and the industrial, economic, scientific and cultural center of the republic. As of the 2010 Census, its population was 1,062,319, making it the eleventh most populous city in Russia. The Republic of Bashkortostan, also historically known as Bashkiria, is a federal subject of Russia. It is located between the Volga River and the Ural Mountains. Its capital is the city of Ufa. With a population of 4,072,292 as of the 2010 Census, Bashkortostan is the most populous republic in Russia. According to census 2018, the population of Republic was 4,063,293. In 2014 he appeared as Feodor Chaliapin in the comedy film Yolki 1914 . Feodor Ivanovich Chaliapin was a Russian opera singer. Possessing a deep and expressive bass voice, he enjoyed an important international career at major opera houses and is often credited with establishing the tradition of naturalistic acting in his chosen art form. Yolki 1914, is a 2014 Russian comedy film, prequel to Yolki 3. James Lawrence Levine is an American conductor and pianist. He is primarily known for his tenure as Music Director of the Metropolitan Opera, a position he held for 40 years (1976–2016). He was formally terminated by the Met from all his positions and affiliations with the company on March 12, 2018 over sexual misconduct allegations that he denies. At the Mariinsky Theater, Abdrazakov has performed the title character and Leporello in Mozart's Don Giovanni; Méphistophélès in Gounod's Faust and Berlioz's The Damnation of Faust ; Oroveso in Bellini's Norma ; Selim in Rossini's Il turco in Italia ; and Assur in Semiramide . In addition to Attila, Abdrazakov's other Verdi roles include Banquo in Macbeth , Walter in Luisa Miller , and the title character in Oberto . 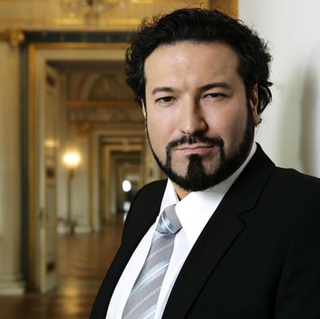 Abdrazakov has also performed at Barcelona's Liceu, Madrid's Teatro Real, the Opéra Bastille in Paris, the San Francisco Opera, the Washington National Opera, and the Los Angeles Opera. 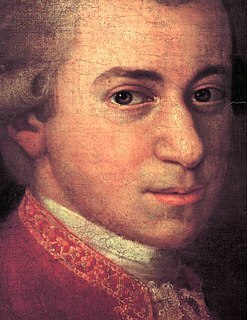 On the concert stage, he has given recitals in Russia, Italy, Japan, and the United States, and performed with orchestras including the Chicago Symphony, the Vienna Philharmonic, the Leipzig Gewandhaus Orchestra, the Bayerischer Rundfunk, the Rotterdam Philharmonic, the Orchestre National de France, the Orchestra Filarmonica della Scala, and Rome's Accademia Nazionale di Santa Cecilia. He has collaborated with conductors such as Riccardo Muti, Valery Gergiev, James Levine, Gianandrea Noseda, Bertrand de Billy, Riccardo Frizza, Riccardo Chailly, and Antonio Pappano. Has interpreted the title character in Verdi's Attila at the opening of the season 2018/2019 of the Teatro alla Scala, under the direction of Riccardo Chailly and with David Livermore as stage director. Charles-François Gounod was a French composer, best known for his Ave Maria, based on a work by Bach, as well as his opera Faust. Another opera by Gounod still performed is Roméo et Juliette. Faust is an opera in five acts by Charles Gounod to a French libretto by Jules Barbier and Michel Carré from Carré's play Faust et Marguerite, in turn loosely based on Johann Wolfgang von Goethe's Faust, Part One. It debuted at the Théâtre Lyrique on the Boulevard du Temple in Paris on 19 March 1859, with influential sets designed by Charles-Antoine Cambon and Joseph Thierry, Jean Émile Daran, Édouard Desplechin, and Philippe Chaperon. La forza del destino is an Italian opera by Giuseppe Verdi. The libretto was written by Francesco Maria Piave based on a Spanish drama, Don Álvaro o la fuerza del sino (1835), by Ángel de Saavedra, 3rd Duke of Rivas, with a scene adapted from Friedrich Schiller's Wallensteins Lager. It was first performed in the Bolshoi Kamenny Theatre of Saint Petersburg, Russia, on 10 November 1862 O.S..
Abdrazakov has recorded works under several record labels. For Decca, he has recorded Rossini with the Symphony Orchestra of Milan, and Verdi's Requiem with the Chicago Symphony Orchestra; for EMI Classics, he recorded Cherubini's Mass with the Bayerischer Rundfunk; and for Chandos, he has recorded Shostakovich's Suite on Verses of Michelangelo Buonarroti and Rachmaninoff's The Miserly Knight , both with the BBC Philharmonic. His DVD releases include Moïse et Pharaon from La Scala, Oberto from Bilbao, Norma from Parma, Mefistofele from San Francisco, and Lucia di Lammermoor from the Metropolitan Opera. Ayşe Leyla Gencer was a Turkish operatic soprano. Jozef Kundlák is a Slovak tenor. Luca Ronconi was an Italian actor, theater director, and opera director. Ildebrando D'Arcangelo is an Italian opera singer. He has been called a bass-baritone, though he himself prefers the term basso cantabile. Bruce Fowler is an American classical tenor who has had a major international performance career in operas and concerts since the early 1990s. He is particularly known for his appearances in bel canto operas. His first recording, as the tenor soloist for Handel's Messiah with Telarc, was nominated for a Grammy Award. He has also recorded Gioachino Rossini's Stabat Mater for Harmonia Mundi, Rossini's Armida for Sony, Jacques Ibert's Angelique for Cetra, Georg Philipp Telemann's Der Tag des Gerichts and Hugo Weisgall's Six Characters in Search of an Author on New World Records. Milijana Nikolic is an operatic mezzo-soprano. Marietta Sacchi was an Italian operatic soprano who had an active career during the 1820s and 1830s. She mainly performed in comprimario and soubrette roles, and appeared at most of Italy's major opera houses and at His Majesty's Theatre in London. She notably created roles in the world premieres of operas by Vincenzo Bellini, Gaetano Donizetti, Simon Mayr, Giovanni Pacini, Luigi Ricci, and Giuseppe Verdi. She also excelled in parts from the operas of Gioachino Rossini. Carmen Giannattasio is an Italian operatic soprano. She studied at the Conservatoire Domenico Cimarosa of Avellino and simultaneously at the University of Salerno. From 1999-2001 she attended the school for young opera singers at La Scala, Milan. In 2002 she won first and audience prize at Operalia competition in Paris. Juan Francisco Gatell (born November 28, 1978 in La Plata, Argentina Juan Francisco Gatell is an Argentinian operatic tenor who specialises in the bel canto repertoire. Marina Rebeka is a Latvian opera, song and concert soprano. Riccardo Frizza is an Italian conductor, particularly known for his work in the Italian operatic repertoire. After making his professional conducting debut in 2001 with Rossini's Stabat Mater at the Rossini Opera Festival in Pesaro, he went on to conduct in the leading opera houses of Europe and the United States, including La Scala, La Fenice. the Paris Opera, and New York's Metropolitan Opera. Irina Lungu is a Russian operatic soprano. ↑ "Met Opera 2012/13 season"